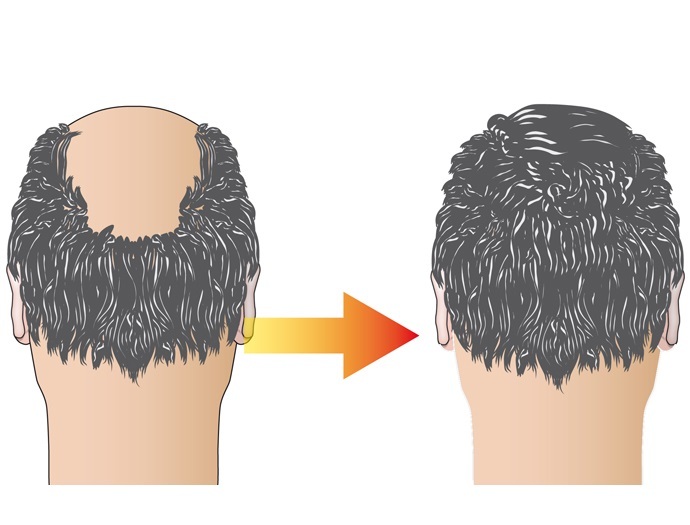 Follicular unit extraction, otherwise known as FUE is a method of hair restoration surgery where the surgeon will remove a small round graft including the hair follicles and then transplant the grafts into one of the balding areas of the patients head. Each graft can contain 1, 2, 3, 4, 5 or even 6 hairs providing the patient has the available donor hair. Single and 2 hair grafts are utilised in the front hairline with which to create a soft, natural appearance. We locate and utilise many of the bigger grafts to 'implant' behind the front hairline so that we can ensure the patient receives the highest density and volume possible. This is the leading method of hair restoration surgery that most of the celebrities have had done. For example, Wayne Rooney and Gordon Ramsey have both had FUE transplants. The procedure where small grafts containing 1, 2, 3, 4, 5 or even 6 hair follicles are removed from the patients donor area. Healthy growing hair, donor hair is removed from the most dense part of the patients scalp and transplanted into the donor area. The process where we use our Artas technology to find and remove the very best donor hair with superb precision and accuracy. The follicle is the unit that contains the root of the hair, essentially this is the seed in which the new hair grows from. 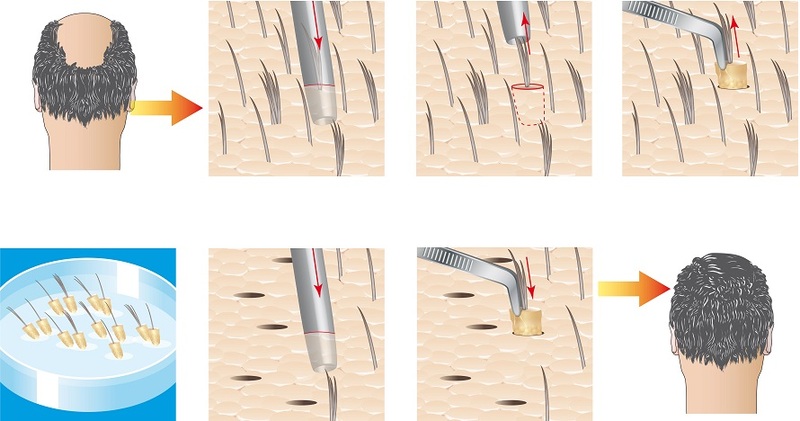 In brief, the process of follicular unit extraction is relatively simple. 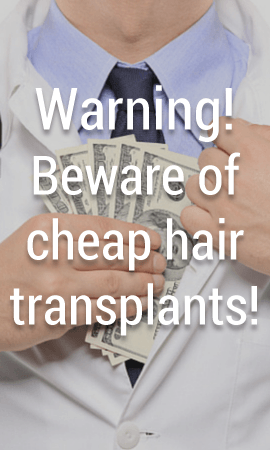 Firstly the surgeon must locate the best donor grafts available and then remove the chosen grafts to extract those with the highest hair content available. The surgeon will then meticulously separate each graft ready to be transplanted. 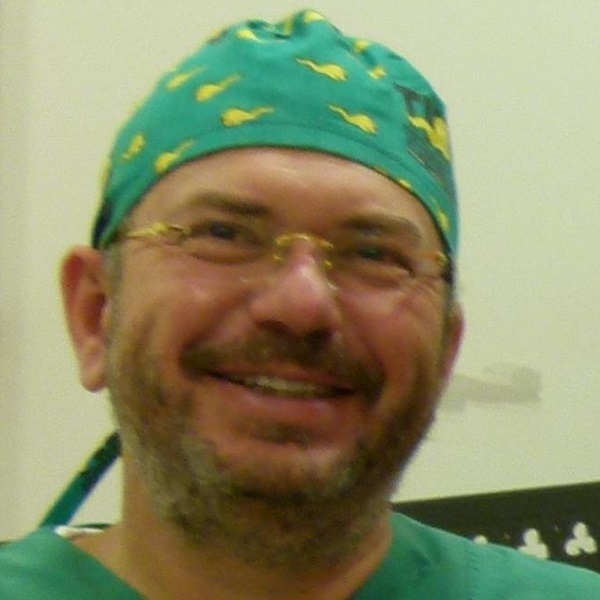 He will then create multiple tiny incisions in your bald area in which to 'plant' the grafts. The process is clearly demonstrated in the images below. We do suggest that you have a free online consultation so we can assess your situation before we proceed further. You can book a free consultation here. 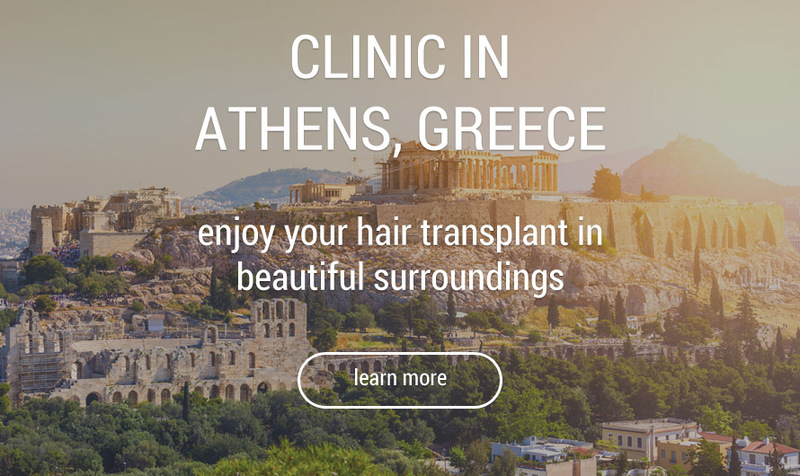 Our FUE hair transplant clinic is based in Athens, Greece.